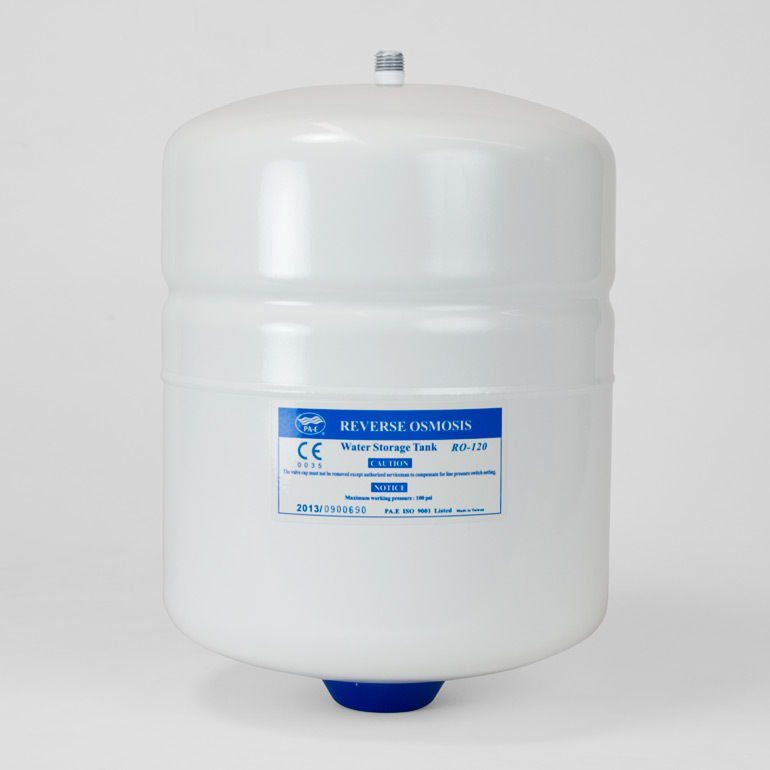 RO Tank, Small - 7.5" X 10"
This size tank is called 2 gallon by the manufacturer. In our tests, it holds about 1 gallon. See explanation here. 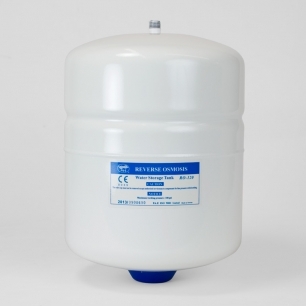 Tanks are sold as replacement parts, and do not by default include a tank valve. If you're replacing an existing tank, your old tank valve will probably work. If you want a new valve, please select 1/4" or 3/8" to match your tubing.